SUPERMARKET is an international artist-run art fair that provides a showcase of artists’ initiatives from all over the world. SUPERMARKET's aim is to display unique projects and ideas, create opportunities for new networks on Swedish and international art scene, and share the passion and vitality that are present in the independent the art world. SUPERMARKET has been arranged in Stockholm since 2007 by a small group of organisers most of whom are artists themselves. SUPERMARKET is a development of Minimarket, which was held at Konstnärshuset (artists' house) in February 2006 in reaction to new commercial art fair Market. Initiated and organised by artists, the project has rapidly evolved from a modest group of local initiatives to a full-fledged international art exhibition that has made its mark and helped firmly establish Stockholm on the art world map. 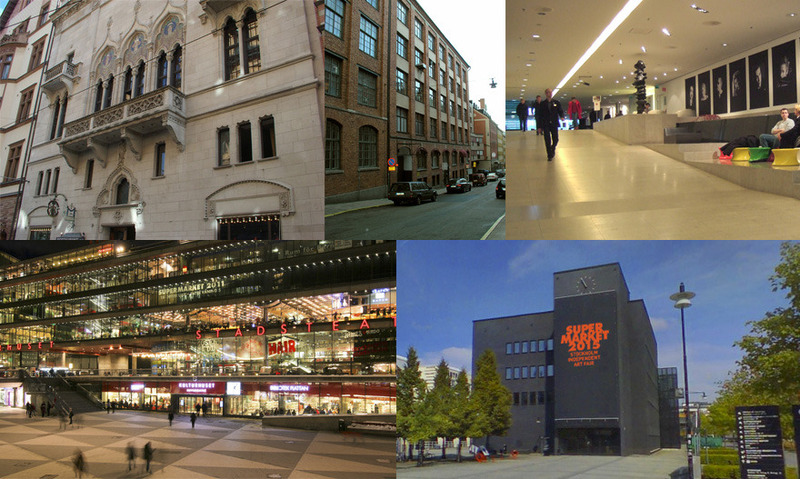 In 2015–17 SUPERMARKET was held in Svarta Huset at Telefonplan. In 2018 we took over a new venue ‘Slaughterhouse 5’ in Slakthusområdet (the Meatpacking district) near Ericsson Globe. In 2019 SUPERMARKET moved to a newly-built venue in Sickla Front. SUPERMARKET has featured exhibitors from more than 60 countries, all part of a growing international trend of artist-run galleries, project spaces, artist collectives and other artists' initiatives. With its vibrant events programme, SUPERMARKET is not just a regular art fair. Besides the main exhibition we offer Supermarket TALKS & Performance programme, Supermarket MEETINGS, the Professional Networking Participants programme, Supermarket FORUM and our internationally distributed Supermarket Art Magazine. It is becoming increasingly common for artists to take matters in their hands and set up galleries and project spaces. SUPERMARKET is an arena for such artist-run initiatives. The goal is to be a place where wider public can become a part of what is happening on the artist-run scene. SUPERMARKET wants to offer the visitor an exhibition with unexpected meetings and experiences rather than focus on sales. Sponsors are welcome to participate in SUPERMARKET – the must-attend art event of every year. Different levels of sponsorshop are available. If you are interested in becoming a sponsor, please send an email to info@supermarketartfair.com requesting sponsors information. Often some of our exhibitors have insufficient funding. Some come from countries without funding structures. If you would like to be the benefactor for a space, please contact us for proposals. Even a small donation can make a big difference. Please join our mailing list to get the latest information and news on developments. You can also join SUPERMARKET on Facebook, Twitter or Instagram. Have a look in our News section for regular updates.